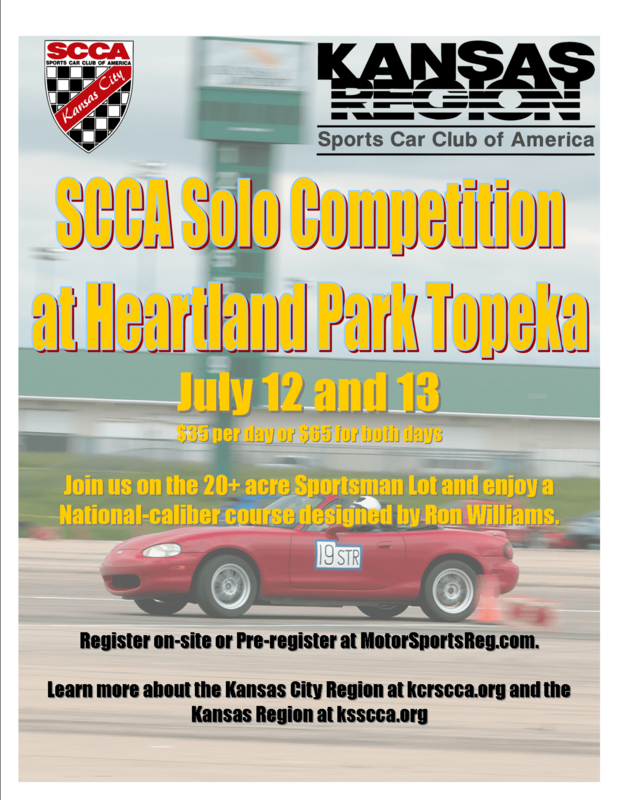 The Kansas City Region and neighboring Kansas Region will join forces on the weekend of July 12 and 13 to host back-to-back SCCA Solo events on the 20-acre Sportsmans’ Lot at Heartland Park Topeka in Topeka, KS. For those of us in the Kansas City Region, this will be quite the departure from our normal venue at the Metropolitan Community College Precision Driving Center. 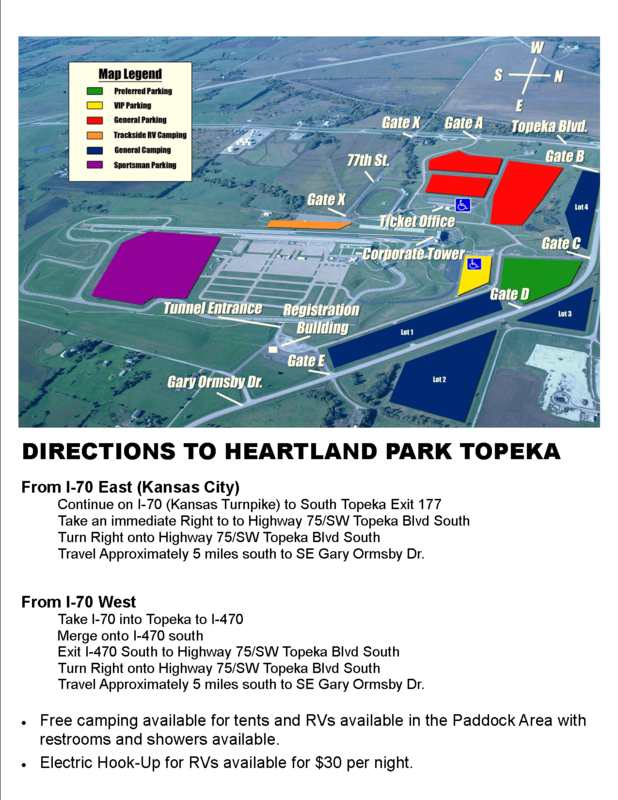 Not only is the Heartland Park lot larger, it’s also completely open. The site was designed and use for the SCCA Solo Nationals from 2006 to 2008. The course will be a national-caliber course designed by Ron Williams. If you’ve never competed on a wide-open multi-acre swath of asphalt or concrete, you’re in for a treat! Travel Approximately 5 miles south to SE Gary Ormsby Dr.
Free camping available for tents and RVs available in the Paddock Area with restrooms and showers available. Electric Hook-Up for RVs available for $30 per night. 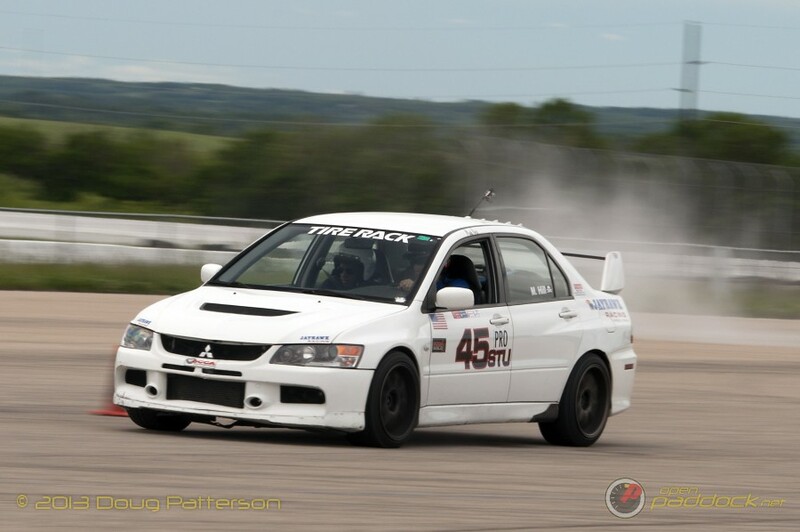 Tagged 2014, autocross, Heartland Park, HPT, kcrscca, ksscca, solo. Bookmark the permalink.